Jerusalem (AFP) - The number of Jews murdered in anti-Semitic attacks around the world in 2018 reached its "highest" level in decades after a mass shooting at a US synagogue, an Israeli government report said Sunday. A total of 13 Jews were killed in three separate attacks over the year, according to the 2018 Global anti-Semitism Report released on International Holocaust Remembrance Day. A gunman shot dead 11 people at a synagogue in the US city of Pittsburgh in October in America's deadliest ever anti-Semitic attack. In January, a student was also murdered in California, and in March 85-year-old Holocaust survivor Mirielle Knoll was killed in a brutal attack at her Paris home. "This marks the highest number of Jews murdered in anti-Semitic attacks since the attacks on the Argentinian Jewish community in the 1990s," the report said. For the second year running the number of anti-Semitic incidents in Britain reached a record high, the report said. It cited British charity Community Security Trust which counted over 100 anti-Semitic episodes a month in 2018, a quarter of which ocurred on social media. The report noted a 69 percent rise in reported anti-Semitic attacks and threats in France after a two-year decline. Contrary to previous years, anti-Semitic violence in 2018 was "led by neo-Nazis and white supremacists", the report said. It defined 70 percent of attacks as "anti-Israel in nature", noting a spike when the US moved its embassy to Jerusalem in May and violence flared on the Gaza border. Diaspora Minister Naftali Bennett said it was Israel's "responsibility to help the millions of our brothers and sisters in the Diaspora who are facing more and more anti-Semitic crimes". He called on governments around the world to "take a harsh stance against the hatred of Jews". Despite the grim numbers, there were also "room for hope", the 113-page report said. "More and more governments are declaring their committment to fighting anti-Semitism, and appointing emissaries to that end," the report said. 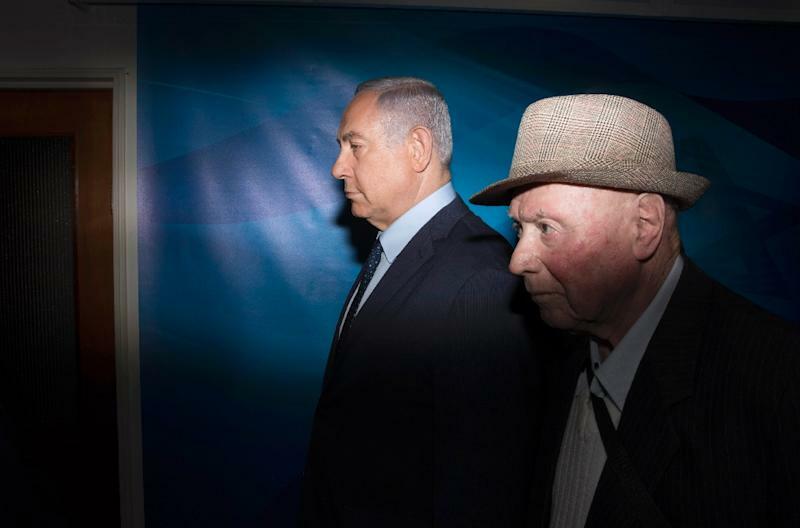 The Simon Wiesenthal Center in Jerusalem on Sunday also released its annual report on the "Worldwide Investigation and Prosecution of Nazi War Criminals". It said that between April 2017 and March 2018 one person was convicted for Nazi-era crimes, while three others were charged.